Take a GPS-led audio tour of Denver’s LGBT History on the Geotourist app. The tour, produced by AARP Colorado in collaboration with Denver Walking Tours and the GLBT Community Center, guides locals and visitors through Denver’s LGBT landmarks right on their smartphones. The tour celebrates the diversity and history of the LGBT community in the Capitol Hill neighborhood and guides visitors to points of interest along Colfax Avenue. 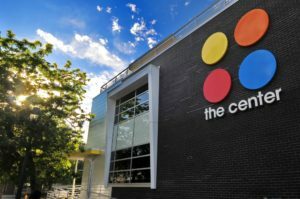 The GPS-led app will guide users to 10 points including, GLBT Community Center; Cheesman Park, the site of Denver’s first Pride celebration; Charlie’s, that hosted the Colorado Gay Rodeo Association; and Smiley’s Laundromat, a community landmark that generated intense debate about historic preservation and community identity. Users will be able to take the tour at their own pace and time.